After initial studies of Mathematics and Physics with Astronomy at the Free University in Amsterdam (Kandidaats/B.Sc. in 1968), Johannes Bronkhorst took up the study of Sanskrit and Pali, first at the University of Rajasthan (Jaipur, India), then at the University of Pune (India). In Pune he obtained an M.A. in 1976 and a Ph.D. in 1979. After his return to the Netherlands he obtained a second doctorate from the University of Leiden in 1980 (with the highest distinction). He remained attached to the University of Leiden as a researcher until 1987, in which year he was appointed full professor of Sanskrit and Indian Studies at the University of Lausanne (Switzerland). He remained at the University of Lausanne until his (mandatory) retirement in 2011. He has published more than one hundred and sixty research papers, all in specialized journals, more than fifteen books, besides numerous reviews. His most recent books are: Greater Magadha (2007), Aux origines de la philosophie indienne (2008), Buddhist Teaching in India (2009), Language and Reality (2011), Buddhism in the Shadow of Brahmanism (2011), Karma (2011). "Johannes Bronkhorst's Buddhist Teaching in India is a most welcome addition to the growing literature on early Indian Buddhism. Its structure is clear and precise, and the text is thorough, highly readable, and accurate. It will have useful application for both scholars and students and can easily be incorporated into classroom use." 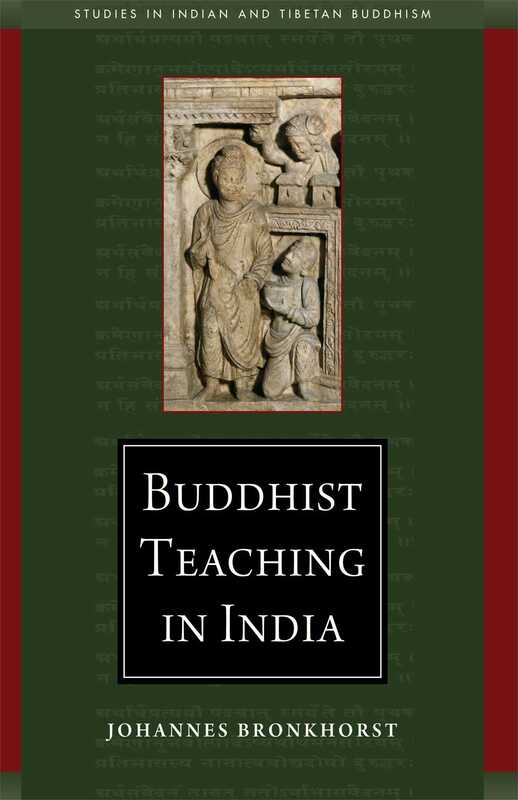 "In this wonderful contribution to the field of Buddhist studies, Johannes Bronkhorst provides a historical context for the earliest centuries of the Buddha's teachings in India. He delineates what the Buddha inherited, transformed, and originated, and the ways that scholars, both American and European, have struggled to make sense of Buddhist doctrine and its place in Indian history. Bronkhorst explains the central ideas of Indian Buddhism with great dexterity, placing them in conversation with the teachings of other traditions, such as Jainism and Brahmanism. With abundant examples from canonical materials, Bronkhorst makes the subtleties of scholarly debates come alive for both laymen and scholars."